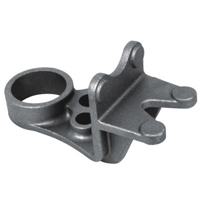 Brace (05) - Ningbo New Zhenzhou Precision Casting Co.,Ltd. Ningbo New Zhenzhou Precision Casting Co.,Ltd.was found in 1996 and situated in Hengxi town, Yinzhou District which is adjacent to DongqianLake-a famous tour highlight. It is 30km far from NingboBeilunPort, and 300km from ShanghaiPort. Our company is specialized in manufacturing a variety of investment castings for mine & engineering machinery, automobile, train etc. 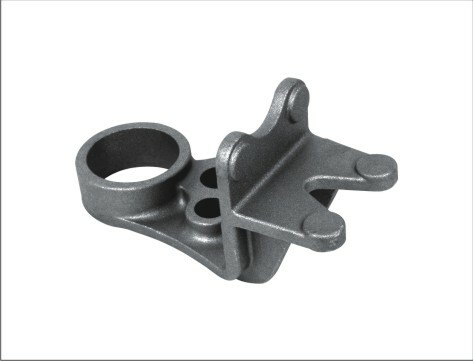 We can supply many material's castings such as carbon steel, alloy steel and stainless steel etc. More than 90% our products are exported to USA, UK, Australia, Spain and Taiwan etc. We have set up a long-term cooperation and fellowship with CATERPILLAR OF U.S.A, SAL of UK, VOLVO of Sweden and AUSA of Spain. In 2004, we owned ISO 9001: 2000 Quality System Certification, In 2006,we owned 16949 Quality System. The company occupies a 70000 square meters area with 45000 square meters construction. We also possess a highly qualified and more than 900 staff team. Our producing, measuring and testing facilities and instruments are full maturity and advanced. At present, we have 10 sets of GW 250 KG middle-frequency-induction smelters with an annual production capacity of 20,000 tons. We also own Spectrometer, universal tensile tester, hardness tester and metallurgical microscope etc.